The decision to form an alliance was met with disapproval from some, while others felt it would be good. Delhi Congress president Sheila Dikshit and other leaders of the unit Monday discussed the possibility of an alliance with the AAP for the Lok Sabha polls in the city at a meeting with party chief Rahul Gandhi. The opinion remained divided on the issue and everyone in the meeting was unanimous that Gandhi should take the final call on it in the larger interest of the party, a participant of the meeting said. Sources said four former Delhi Congress presidents — Ajay Maken, Subhash Chopra, Tajdar Babar and Arvinder Singh Lovely — favoured an alliance with the Aam Aadmi Party (AAP) in Delhi. “AICC in-charge of Delhi Congress PC Chacko also handed over signed letters of 12 district Congress presidents, leaders of the party and councillors in three municipal corporations, in favour of the alliance, to Gandhi,” they said. Delhi Congress president Sheila Dikshit and three working presidents, Devender Yadav, Rajesh Lilothia, and Haroon Yusuf, maintained their stand against the alliance, sources said. Chacko told PTI that Gandhi will now take a call on the pre-poll tie-up with the AAP. “He will convey the decision to me, whenever he takes it,” Chacko said, without giving any deadline for the announcement on the alliance. As per a tweet in ANI, Dikshit confirmed that the decision on the alliance will solely be taken by Rahul Gandhi. The AAP has been seeking an alliance with the Congress in Delhi but the grand old party has not made its stand clear on the possible tie-up. 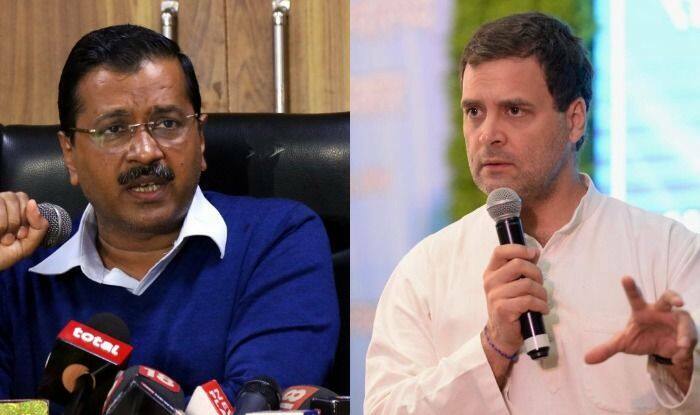 However, after getting no clear response from the Congress, the AAP declared its last candidate in Delhi for the Lok Sabha polls, with a senior leader saying the announcement was made on seeing the Congress’s “irresponsible and indecisive” attitude towards the alliance. Delhi Chief Minister and AAP national convenor Arvind Kejriwal had also said that internal surveys have indicated that the party is capable of winning all seven seats in Delhi on its own and does not require an alliance with the Congress in the national capital. However, both parties had last Tuesday made fresh efforts with the help of NCP chief Sharad Pawar to forge an alliance in Delhi. Sources said the AAP had last week made a fresh bid to forge an alliance with the Congress in Punjab, Haryana and Delhi, while demanding five seats in the national capital. However, shortly after the meeting, Kejriwal said that the Congress had refused to form an alliance with the AAP in Delhi and the two parties were not in talks with each other.